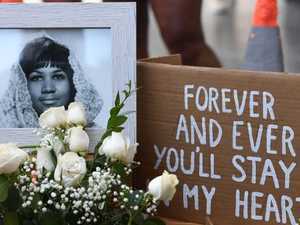 AS the world mourns music legend Aretha Franklin, we look back on the stories behind some of her most amazing songs and the incredible journey that took her from teenage gospel singer to the Queen of Soul. Born in Memphis and raised in Detroit by her devoutly Christian father, Reverend C.L. Franklin, Aretha Franklin had a troubled childhood. She fell pregnant at 12 and was the mother of two sons by the time she was 15. Franklin embarked on a gospel music career at the age of 18 but only achieved modest success. It was only when she signed to Atlantic Records in 1967 that she hit the big time. Under producer Jerry Wexler, Franklin was given more creative latitude - she played piano and wrote more of the songs herself. 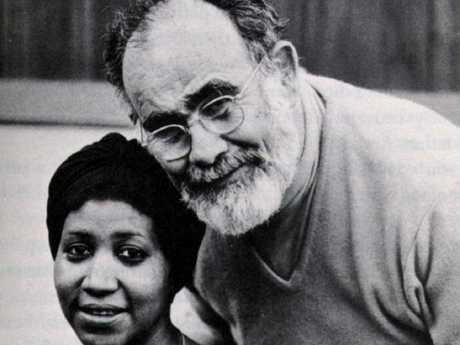 Aretha Franklin with her mentor, producer Jerry Wexler. Her cover version of Otis Redding's Respect - which became her signature song - was a landmark anthem for both the feminist and civil rights movements. Redding's version was a plea from a desperate man. Franklin took the song and gave it a groundbreaking spin, turning it into a declaration from a strong woman who is demanding her man's respect. 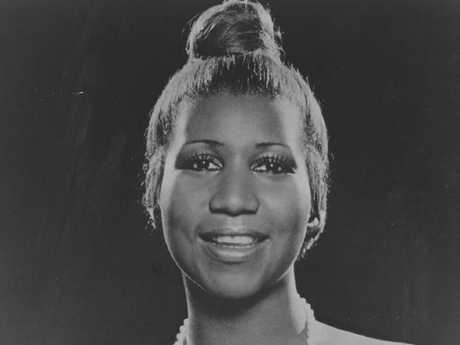 While maintaining much of the original lyrics Franklin made the song her own by adding powerful new lyrics and hooks - "R-E-S-P-E-C-T" and "Sock it to me". The star’s cover version of Otis Redding’s Respect became an instant classic. The repeated "Sock it to me" line was sung by Franklin's incomparable backing singers, her sisters Erma and Carolyn. In an interview with WHYY's Fresh Air in 1999, Aretha said, "Some of the girls were saying that to the fellas, like 'sock it to me' in this way or 'sock it to me' in that way. It's not sexual. It was non-sexual, just a cliche line." The song became a global phenomenon and made Franklin an international star. Another feminist anthem, Think was written by Franklin and her then husband and manager Ted White, who she married at the age of 19. According to reports, White was "a renowned Detroit pimp" who exerted a controlling influence over the star. He had a svengali-like influence over Franklin and helped her to land her first record deal. Franklin allegedly started drinking heavily after the birth of her third son, Ted White Jr, to ease the pain of her unhappy marriage. But she put on a brave face for the outside world. The star told London's Record Mirror in 1968 that she trusted White's business skills. Aretha Franklin’s private life was full of drama and heartbreak. "Oh yes. I don't have to worry about the business side. As he's my husband I know I can trust him! 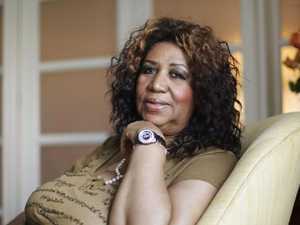 I just worry about the singing," Franklin said. 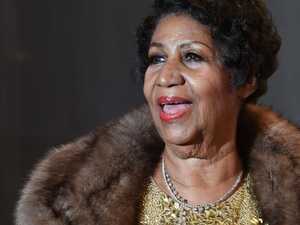 When asked by reporter Norman Jopling if she would still be singing Think in many years time, Franklin laughed. "No, I shouldn't think so," she said. "Music changes, and I'm gonna change right along with it." She and White divorced in 1969, ending a marriage marred by White's domestic abuse and manipulations. The legend’s marriage to Ted White was marred by domestic violence. In 1980, the soul diva wowed audiences with her performance of Think in the cult classic film The Blues Brothers. The famous scene depicted Franklin working as a waitress in a diner. Her sister Carolyn also appeared in the sequence on backing vocals. Because Franklin was not used to lip-synching, this sequence required a number of takes and considerable editing. When director John Landis was asked how he got Franklin - whose career had hit a slump - to appear in the film, he replied: "I asked her." Franklin's Grammy-winning duet with the late George Michael soared to the top of the charts, where she had not been since the release of Respect. Written by British songwriters Simon Climie and Dennis Morgan, the song was not originally pitched as a duet. Music guru Clive Davis suggested Franklin and Michael record the song together - and it proved to be a smash. Pop legend George Michael admitted there was no point even trying to compete with Aretha Franklin when the pair recorded a duet. 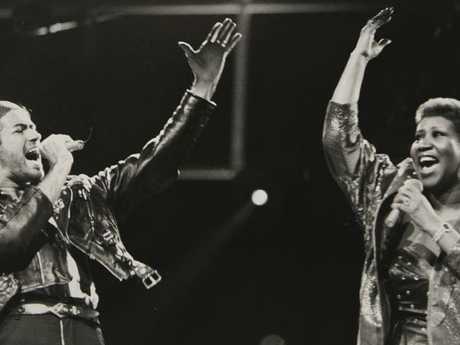 Michael later admitted to being nervous about performing with the soul legend, but he knew there was no point in trying to copy Franklin's style. 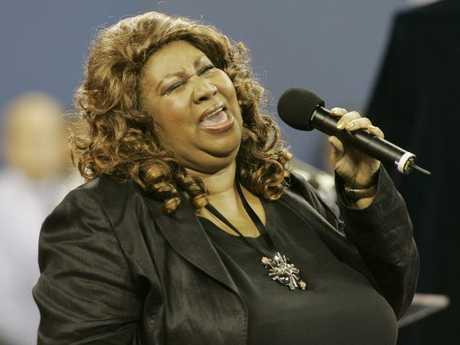 "Nobody can emulate Aretha Franklin," he said. "It's stupid to try. I just tried to stay in character, keep it simple - it was very understated in comparison to what she did." Regarding the video, Franklin said, "We had a super time. He was calling most of the shots: how he wanted this, how he wanted that. My older sister, Erma, just fell for him right away. He was very friendly and personable, easy to talk to." This song became a defining anthem for Franklin as it was the first big hit of her career. 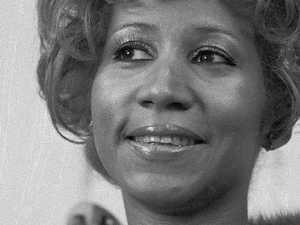 Aretha Franklin had made nine albums while under contract to Columbia Records but had remained commercially unsuccessful. When Columbia Records let Franklin's contract lapse in 1966, Atlantic Records producer Jerry Wexler quickly signed her, taking her in January 1967 to Muscle Shoals, Alabama, along with recording engineer Tom Dowd and Franklin's then-husband Ted White. 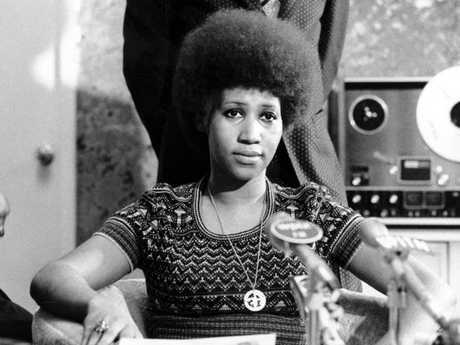 Aretha Franklin’s breakthrough came when she signed to Atlantic Records. Franklin later said of her time at Atlantic that "they just told me to sit on the piano and sing". From the very first chord that Aretha played on the piano, it was clear to everyone that it was a magic moment. It was at that point that Spooner Oldham, who had been hired to play piano, stepped aside to play the electric piano. Within minutes of Franklin's recording, Wexler knew he had a hit. 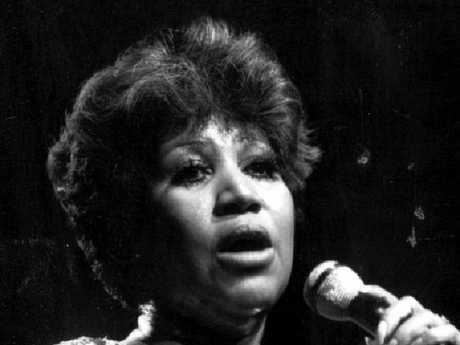 Natural Woman became one of Franklin's quintessential and much-loved songs. Written by Gerry Goffin and Carole King, the song was inspired by Atlantic Records co-owner and producer Jerry Wexler. As recounted in his autobiography, Wexler, a student of African-American musical culture, had been mulling over the concept of the "natural man", when he drove by King on the streets of New York. 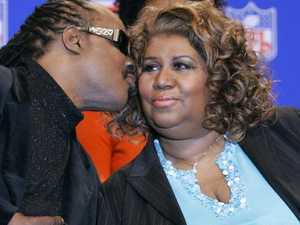 He shouted out to her that he wanted a "natural woman" song for Aretha Franklin's next album. In thanks, Goffin and King granted Wexler a co-writing credit. In December 2015, Aretha Franklin famously moved then US president Barack Obama to tears with an powerful rendition at the 2015 Kennedy Centre Honours during the section for honoree Carole King. "I Say A Little Prayer" was not only a signature song for Dionne Warwick, who initially sang it, but also for Franklin, who released a cover less than a year later. Franklin's version only reached number 10, but it remains one of her most searched-for songs today. Aretha Franklin’s private life was full of ups and downs. The song is again an example of the remarkable backing vocals provided by Franklin's sisters Erma and Carolyn, who performed as The Sweet Inspirations. Carolyn Franklin tragically died in 1988 at the age of 43 from breast cancer. Erma Franklin, who devoted her life to helping homeless children, died of throat cancer in 2002. Yet another powerhouse feminist anthem - this time a collaboration with the Eurythmics. Written by Annie Lennox and Dave Stewart, the pair had originally intended to record the song with Tina Turner. When she turned it down, they approached Franklin. Lennox told Q magazine in 1991: "I woke up one morning and wrote all the words. I had a vision of it, and said to Dave that this idea needs a fantastic woman to sing it with. I'd thought of Tina Turner, and we contacted her but she found the content too feminist. "But Aretha Franklin wanted to do it, and we flew to Detroit. I got along all right with her but we didn't have an immediate rapport. 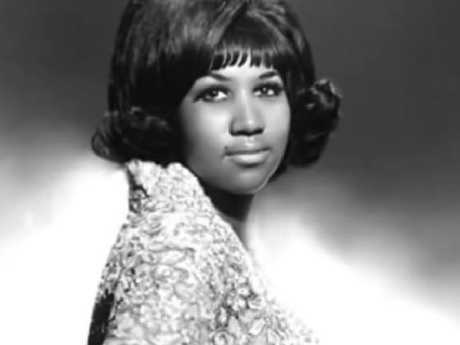 Aretha struck me as rather shy, a bit sad, a bit lonely. She had an entourage which I thought a bit eccentric - I wasn't used to it." This tune is also on Rolling Stone's list of the best songs of the 20th century, and it earned Franklin not only a Grammy in 1968 but also a Grammy Hall of Fame Award. 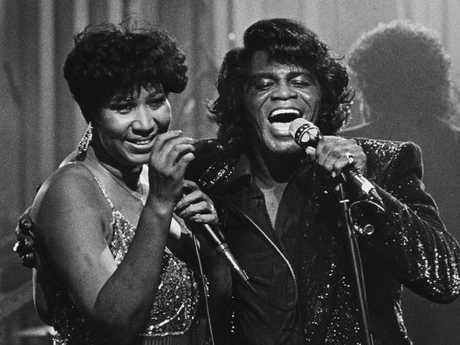 Aretha Franklin with fellow soul legend James Brown in 1987. The bluesy ode to a no-good, cheating bad boyfriend is classic Aretha. The song made a comeback when it was performed in the 1991 film The Commitments. One of the first songs written by music producer Phil Spector, Franklin's version - in true style - ended up outperforming the original 1960 version. The song is about a rose, a metaphor for a girl, that grows through concrete. Again, Franklin switched up the lyrics for her version, changing the words from "a red rose in Spanish Harlem" to "a rose in black and Spanish Harlem." The Grammy-Award winning smash single from Aretha's 1985 comeback album Who's Zoomin' Who? was a worldwide hit. The song, which featured the legendary Clarence Clemons on saxophone, marked a return to form for Franklin. 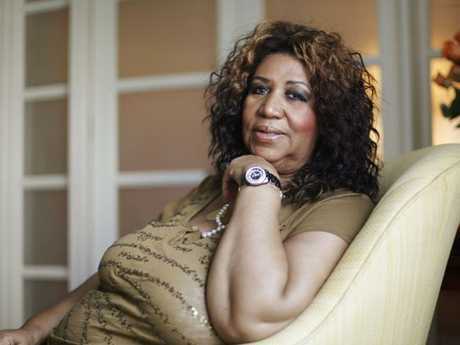 The Queen of Soul poses for a portrait in Philadelphia in 2010. 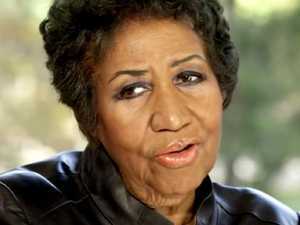 In an interview with Rolling Stone magazine, Franklin said she wanted to do "a record with a younger sound to it. I'd been listening to the radio and I really liked what I heard. I figured to myself that it was time for me to do something serious." The video for Freeway of Love, filmed in Franklin's hometown Detroit, was also a huge hit on MTV and Franklin described the album as one of her best records ever.